Whether you work from home or head to an office each morning, we are all familiar with the daily grind. Since we usually spend more time at our jobs than we do in our homes, it is essential to make your place feel comfortable. One of my favorite things I did at my previous place of employment was to decorate my cubicle so that it felt like a place I would want to hang out at for eight or more hours a day. After I quit that job, I made sure to keep that same spirit in my home office as well. Besides the regular notebooks and computer, there are some things you might want to put in your office to give it a little more color. 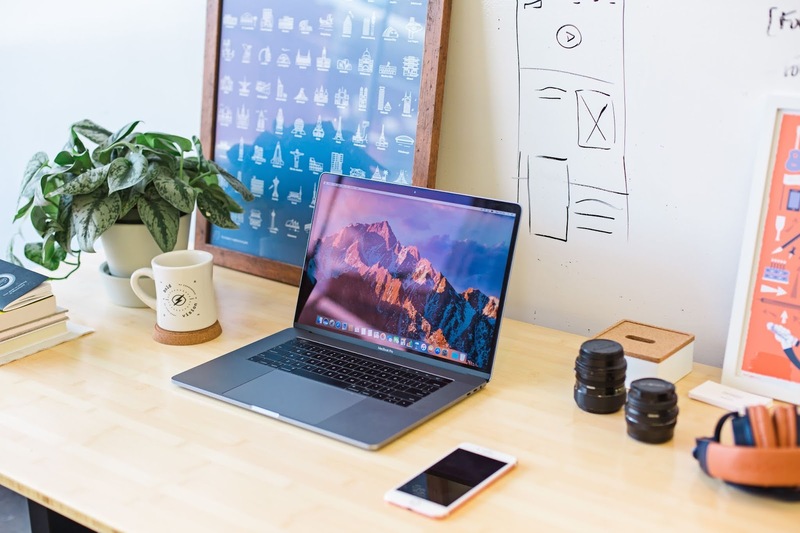 Whether it be for inspiration or something to look at, decorating your space can be beneficial for your mental health and productivity. I've cultivated a list of my must-have items for any office. These pieces will bring more life to your space, help your organizing practices, and keep you happy and healthy through the workday. To warn you, I'm a sucker for anything colorful and organizer friendly (I'm the typical Monica I guess). Not every office allows plants but, if you can, you should get something in your area. Plants are great for sprucing up the place, adding oxygen, and can make you feel positive (no, really). In a past article, I talked about certain indoor plants that are great for mood lifters. These are plants that don't require too much sunlight and attention for an area that doesn't get much of either. To me, plants help open up your space and bring in a little color. Usually, you stare at bland walls all day long, so having a plant can help balance out the dull. I keep an aloe vera plant on the corner of my desk at home and it aides in making my space feel more personal. I work off of a laptop (like most people) and found myself suffering from numbness in my fingers. After months of typing away, my body was starting to fight back from the uncomfortable positions I was always in at the computer. To try it out, I bought a mouse and a pad to see if that would help. This purchase is something I recommend for anyone who spends any amount of time on a computer. These tools helped my hands get into a more comfortable position, helped relax daily tasks, and relieved the tension in my arms. While you could purchase just any mouse pad, I would suggest an ergonomic one. These have a little cushion for your wrist to sit while scrolling around the internet. It relieves some tension from your wrists, so you don't end up with a severe case of carpal tunnel. Don't have a use for a mouse? You can also get these pads for your keyboard as well. Trust me; you won't regret this purchase. I was going to make each organizer an individual tab, but that would take far too long. I'm a big fan of the organization. I know some people can succeed in chaos, but that is not the case for everyone. Most of us need some form of system to keep everything in a place that is easy to find. With this in mind, I would recommend getting some form of file organizer as well as something to hold her pencils and other office supplies. I use a little cubby area that holds all of my pens, pencils, rulers, scissors, paper clips, and other needs. It is in an easy to grab location for quick convenience. I also have a little cubby with all of my notebooks I regularly use so that I don't have to search for them each day. I'll leave a few options for you to browse, but there is an array of organizers out there for all your needs (plus they are usually inexpensive). You can switch out the blanket for a comfortable jacket, but the idea is to have things that keep you happy throughout the workday. While I work from home now, I used to have to dress up each day for the office. I kept a pair of slippers under my work desk that I could easily slip on in between walking around. The blanket was for obvious reasons (every office is set to subzero temperatures). The point is for complete comfort. It doesn't matter how productive you are if your body is suffering from discomfort. Sitting for hours on end is never good for your system. By making sure you are giving yourself a break from the pains of shoes and cold temperature, you are more likely to have a better work day. Is your chair uncomfortable? See if you can switch it out or bring a pillow to put underneath for some extra padding (I'm sitting on two right now). You are going to get hungry in between your lunch period. I always make sure I have a stock of healthy meals at my disposal for these moments. Fantastic food options for the office include granola bars, trail mix, and packaged items. I would also keep a set of utensils (if your job doesn't provide them), a water bottle, and a mug at your desk. I have a specific mug and bottle just for the office. This way I always have something to drink and can refill whenever. Having these treats and kitchenware can make those eight hours a little more bearable. Whether it be photos of loved ones or a favorite poster, you should have keepsakes surrounding you. This is the primary way you can turn an office from a workspace to a home. Most offices are composed of a material that allows you to stick up posters, so go ahead and decorate! If you can't do this, framed pictures work just as well. Seeing things you enjoy and love are a great way to motivate and stay positive throughout the day. If I'm feeling stressed, I love looking at a picture of my loved ones to help calm me down. You might not be able to bring your boyfriend to work, but you can always stare at him lovingly through a picture. 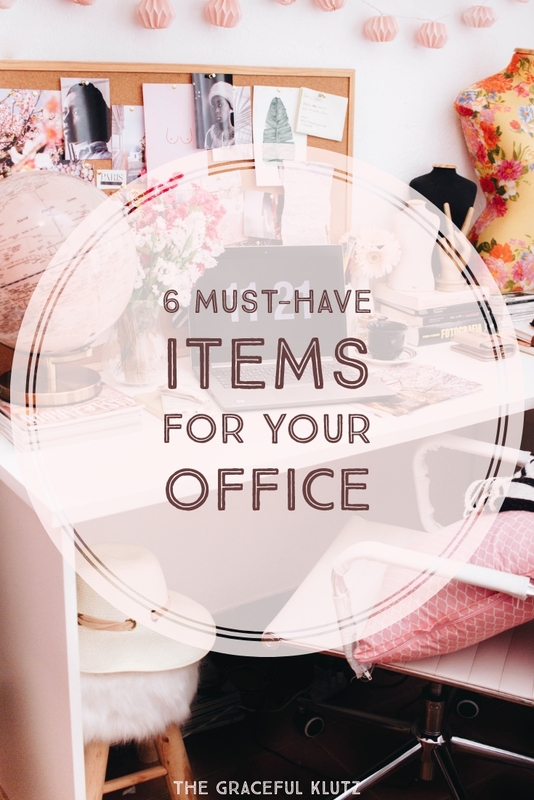 What are some items you feel are a must-have in the office? Let me know in the comments below. There is no wrong way to decorate your space. Just make sure it is an area that you want to be in for 40 plus hours a week. After all, if you don't want to work there, it will make each day drag on for an eternity. Save 30.0% on select products from iRULU with promo code 30QGM644, through 2/28 while supplies last.